Tuesday is likely to be a huge day. Senators Charles Schumer and Jay Rockefeller will be taking on the conservative Senate Finance Committee when they present the public option amendment to the Baucus health care bill. The vote will be close and they need our help. 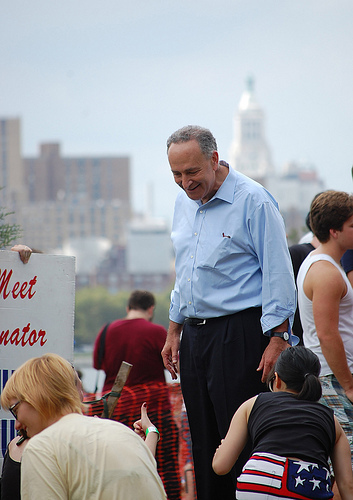 This entry was posted in Health/Tech, Politics/Tech and tagged Baucus plan, Charles Schumer, health care, Jay Rockefeller, Senate Finance Committee. Bookmark the permalink.